A couple of years ago I bumped into Alan Greenspan, the former chairman of the US Federal Reserve, in the lofty surroundings of the Aspen Institute Ideas Festival. As we chatted, the sprightly octogenarian declared that he was becoming interested in social anthropology – and wanted to know what books to read. “Anthropology?” I retorted, in utter amazement. It appeared to overturn everything I knew (and criticised) about the man. 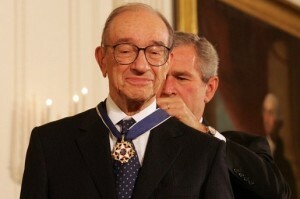 Greenspan, after all, was somebody who had trained as an ultraorthodox, free-market economist and was close to Ayn Rand, the radical libertarian novelist.